For the northern British Columbia community of Hazelton, located on Gitxsan First Nation Territory, local fruits and vegetables can be hard to come by. Due to its remote location the steps involved in bringing non-local nutritious foods to the community are often energy-intensive and expensive. 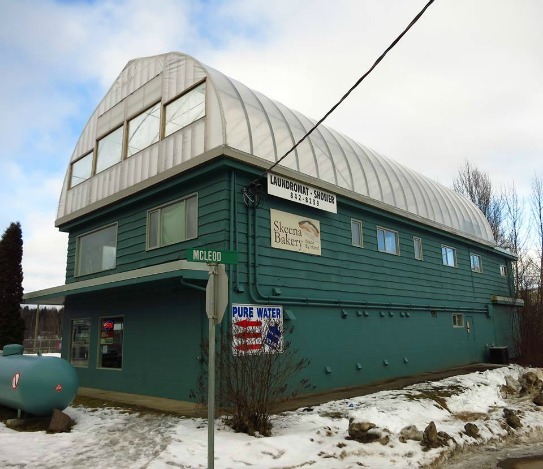 This is where the Skeena Watershed Conservation Coalition (SWCC) Recycled Energy Garden Project comes in, where approximately one year ago, a greenhouse was constructed on a flat unused roof located above the Skeena Bakery and the Cleaners Laundromat. 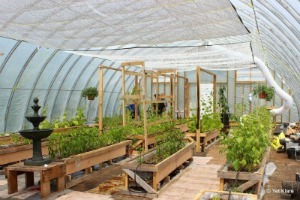 The SWCC hopes that the greenhouse will soon be able to produce food year round with the installation of a heat recovery system. The heat recovery system, which they plan to have up and running by the spring of 2015, will be made up of a number of recycled materials such as car radiators, a furnace fan, and air ducts. During the day, the system will pull warm air out of the greenhouse to heat the DIY water tank that will be placed in the crawlspace under the building. 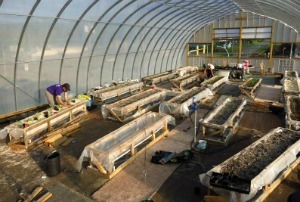 At night, the opposite will occur; warm air from the water tank will be pushed back into the greenhouse to keep it warm and to prepare the tank for the following cycle. The system will also capture excess heat from the bakery and Laundromat below to heat the greenhouse during the winter months. In the long-term, SWCC hopes that the heat recovery system will allow them to produce healthy, local food year-round to replace costly “end of the line” produce from the grocery store. 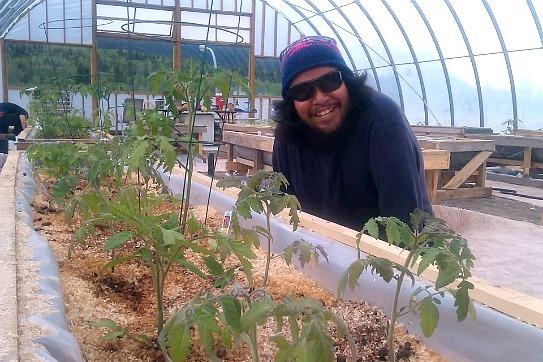 The SWCC’s Recycled Energy Garden project, a component of the Skeena Energy Solutions Program and funded in part by the Walmart Evergreen Green Grants program, aims to bring fresh, local produce to the community of New Hazelton in a way that is both educational and sustainable. The SWCC’s goals with this garden project are: to produce healthy, sustainable food, to engage community members (men in particular, who have few opportunities in the community to be a part of programs that foster healthy living), to increase resiliency and to address the issue of food insecurity in the region. About the Skeena Watershed Conservation Coalition (SWCC): Established in 2004, they provide stewardship activities, and community engagement and education initiatives to help protect the Skeena Watershed (such as Youth on Water and Women on Water). About the Walmart Evergreen Green Grants Program: Now in its tenth year, the Walmart Evergreen Green Grants program provides funding of up to $10,000 to community groups working to create greener, healthier communities across Canada. Since 2005, the Walmart Evergreen Green Grants Program has contributed $3.7 million in support of over 500 projects nation-wide. Stay tuned for the 2015 program deadline!